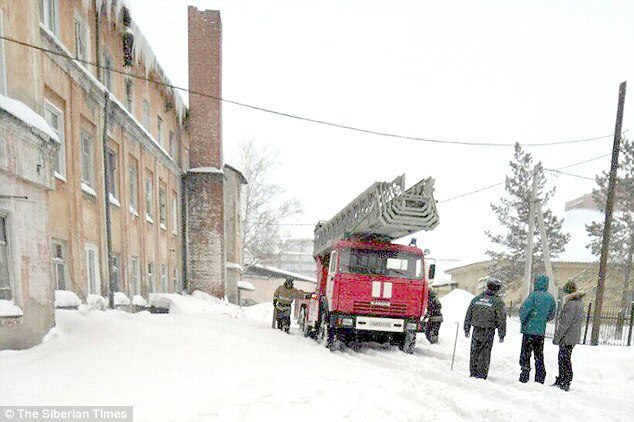 A well-known Russian industrial climber who regularly conquered tall buildings has been found dead, dangling from the roof of a snow-covered student dormitory. Mystery surrounds the circumstances of 26-year-old daredevil Yevgeny Tikhonov's death, but there are no suggestions he took his own life. Icicles were hanging from his feet when he was found and his head was covered with snow. 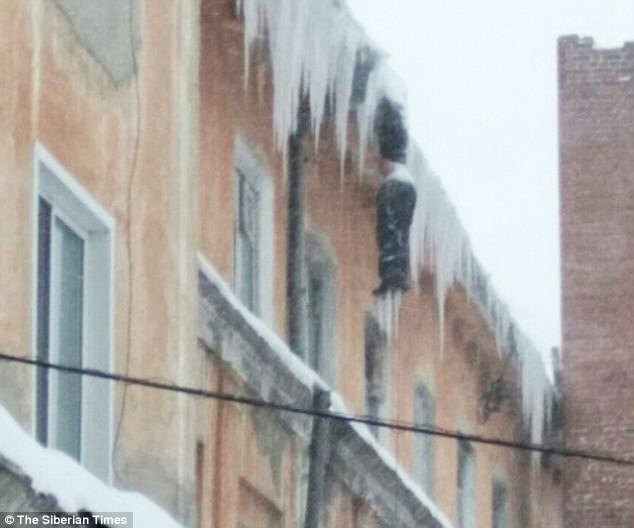 The macabre sight 40 ft above the ground was spotted by a young girl in Anzhero-Sudzhensk, a town 65 miles north of Siberian city Kemerovo. She alerted adults who called the police. His body appeared to have been dangling from the building for a long period but local reports suggested he died only two hours before he was spotted. 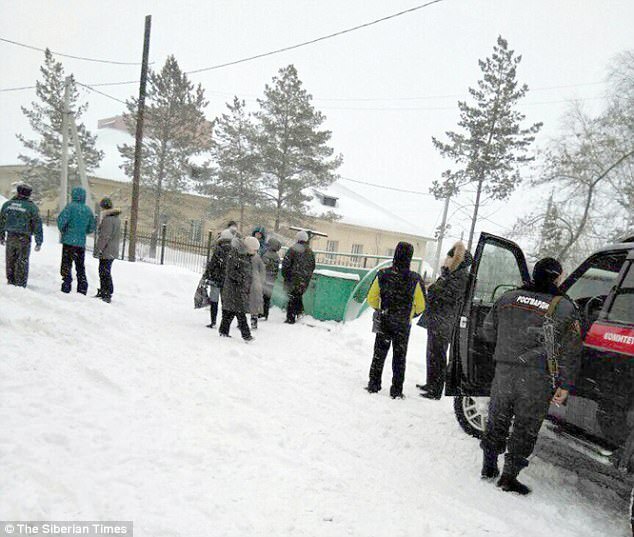 Temperatures had plunged to minus 27C at night in the hours before the tragedy. Tikhonov was a well-known and experienced industrial climber, who had worked repairing many tall buildings, reported The Siberian Times. 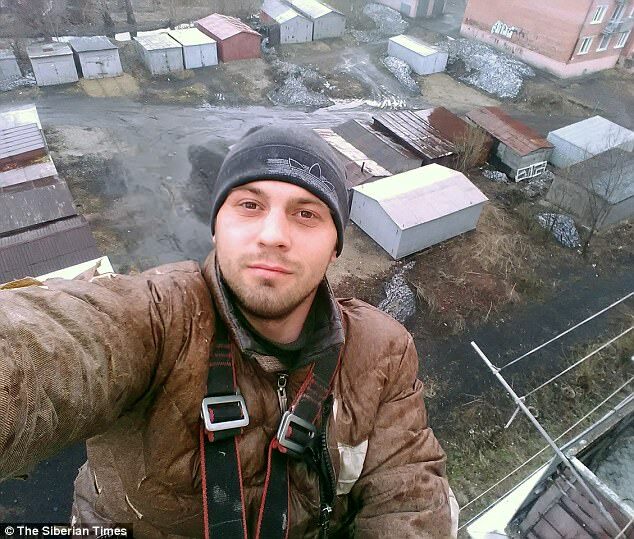 His social media profile shows him climbing a number of buildings far higher than the block where he died. 'He loved working as industrial climber and often joked with us that he only came down to sleep,' she said. Rescuers, police, the Russian national guard, and investigators were called to the site. An inquiry is underway into the circumstances of his death.